With more than 200 sovereign countries (most of which have subdivisions such as states, provinces, oblasts, etc.) and an estimated two million cities and towns, the world is full of flags. A lot of them are wonderfully designed and even more are just plain bad. However, not all flags fall neatly on this spectrum. To put it plainly, there are a lot of flags that aren’t necessarily good or bad; they are just bizarre. 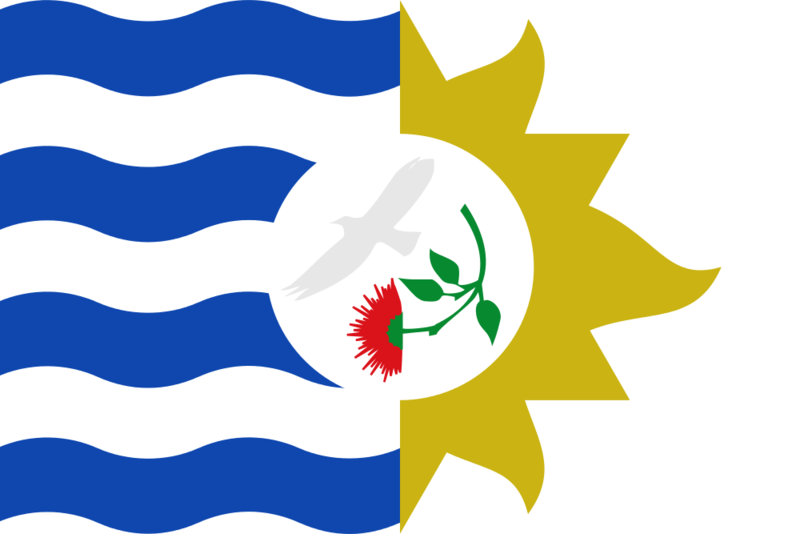 For the fifth post in this ongoing series we are going to focus on the weirdest flags in South America. Be sure to check out Part 1, Part 2, Part 3, and Part 4! This flag was the banner chosen by the people of the Brazilian state Pernambuco when they declared independence in March of 1817. Because nothing says rebellion like a cross and rainbow. A mere two months later, the Republic of Pernambuco was forced to rejoin Brazil by a military invasion. 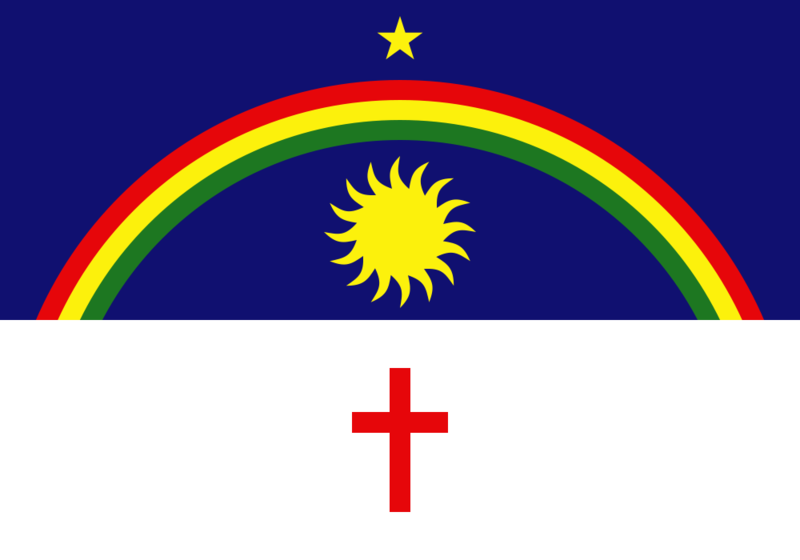 However, the people of Pernambuco kept their rebellion flag and it is still their flag to this day. 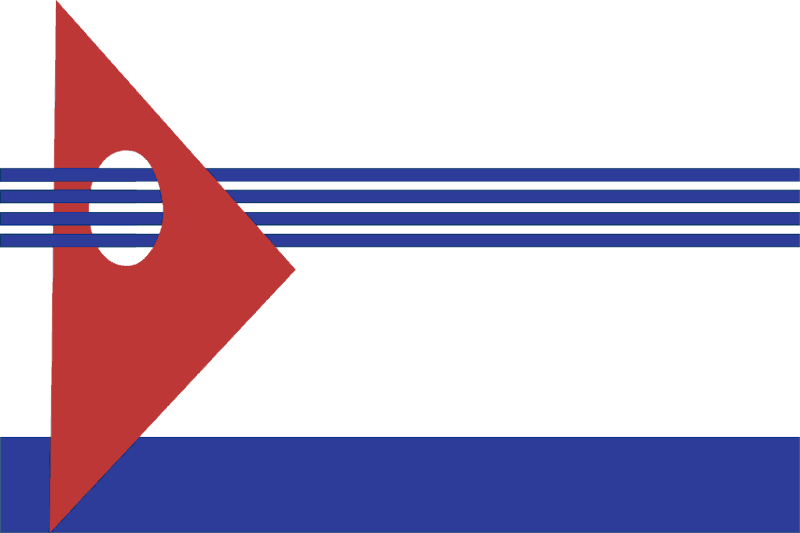 While I appreciate the pride the people of Pernambuco have in their flag, it looks like a case of trying to combine two or more flag ideas into one. There are just too many elements that don’t work together, from a design standpoint. 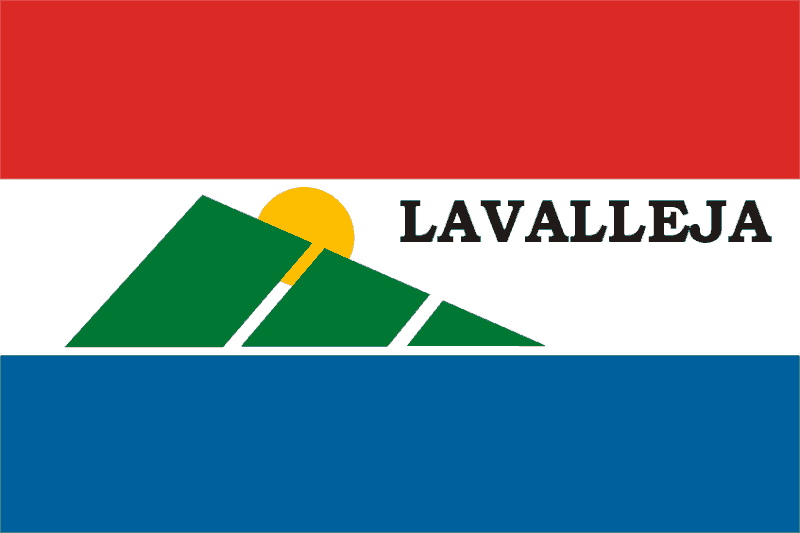 I hear the people of Lavalleja really like Adidas and horrible color combinations. 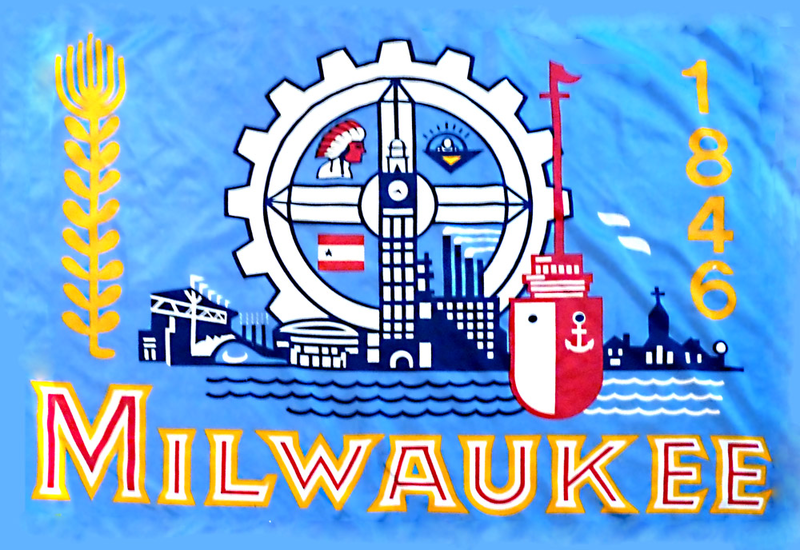 Did the designer of the Milwaukee flag move to Argentina? This flag actually has a great story to tell. In the middle of the gear is the Florentino Ameghino Hydroelectric Dam. It is in the middle of the gear because it represents man’s attempt to conquest nature through engineering. The dam also made agriculture in the area possible, hence the grain rising from the dam. But the symbolism seems to find its way into an uncanny valley between realism and abstract that makes the whole design feel cartoonish. I expect to hear the Microsoft Windows start up sound whenever I look at this flag. I also think it would look more at home as a tourism board logo. First, let’s point out that the name of this department is literally “33.” No, they don’t number their departments. It’s actually named after a group of 33 patriots who led a fight against Brazil, but it’s still kind of weird. 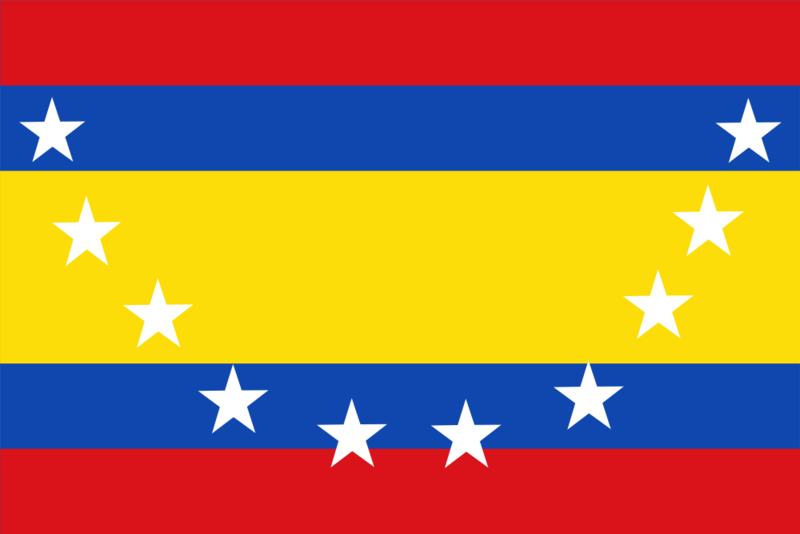 This is another South American flag that is just trying to fit too much into a flag. Although after seeing Treinta y Tres’ coat of arms, it could be much worse. Modern art on a flag. I don’t hate it, but it doesn’t make it any less weird. I didn’t think much of this flag at first until I got a good look at that shape in the center. 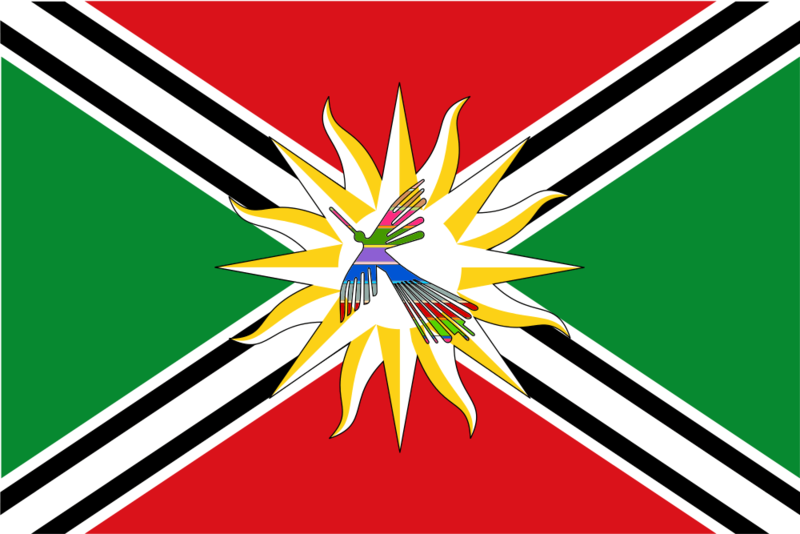 It has some of the strangest colors I’ve ever seen on a flag, especially in its contrast to the flag’s main color scheme. The shape is a mburucuyÃ¡ flower, also known as the passion flower, which represents passion of Jesus in local tradition. 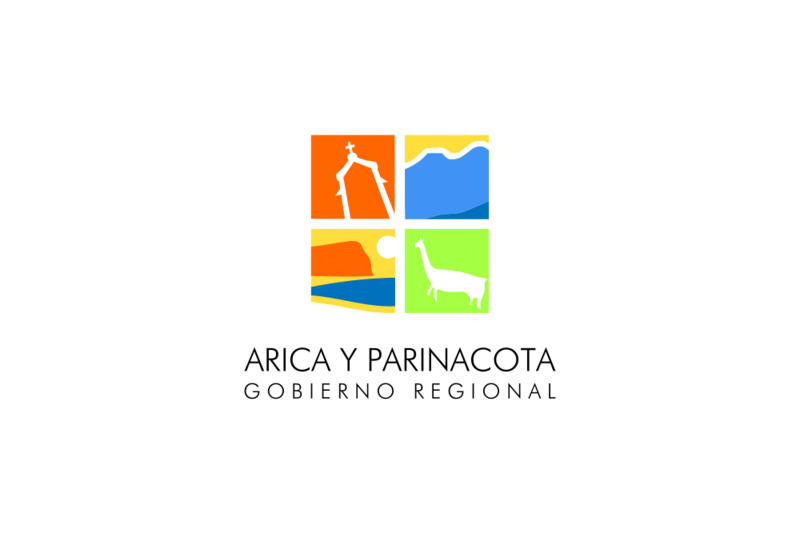 It also includes three pistils that represent the three historical defences of PaysandÃº City. It’s actually a pretty cool flag, just with a weird color scheme. Well, there it is. Looks like they took a page out of Libya’s book. The green is supposed to represent the landscape of the area. I wonder what that could mean… And by the way, it seems like Beni’s flag is not an outlier when it comes to Bolivian department flags. 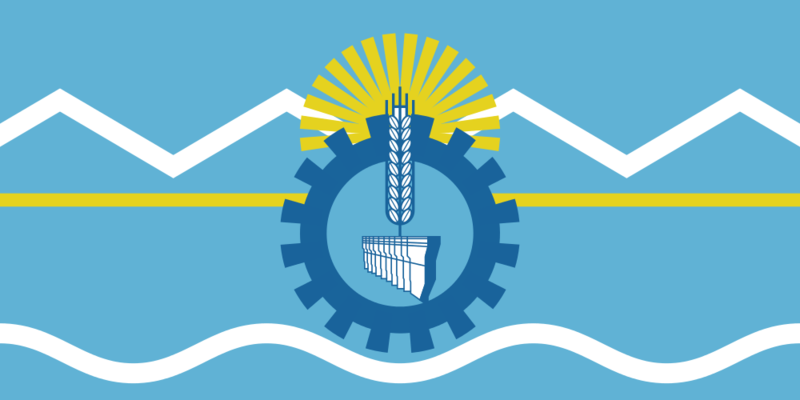 Just have a look at the flag of the Oruro Department. The bird on this relatively new flag (created in 2007) is multicolored to represent the diversity of the Province. It looks more like the designer was having an acid trip to me. For our part 5 finale, we return to Chile to examine this beauty. I really don’t know what to say about this one, I’ve never seen a flag quite like it. I want to love it and hate it at the same time. The green landscape in particular is soothing yet way out of place on a flag. Also, why do so many flags have symbolism representing their “land.” It’s not like there are any countries, provinces, states, or cities that don’t have land. But I digress. 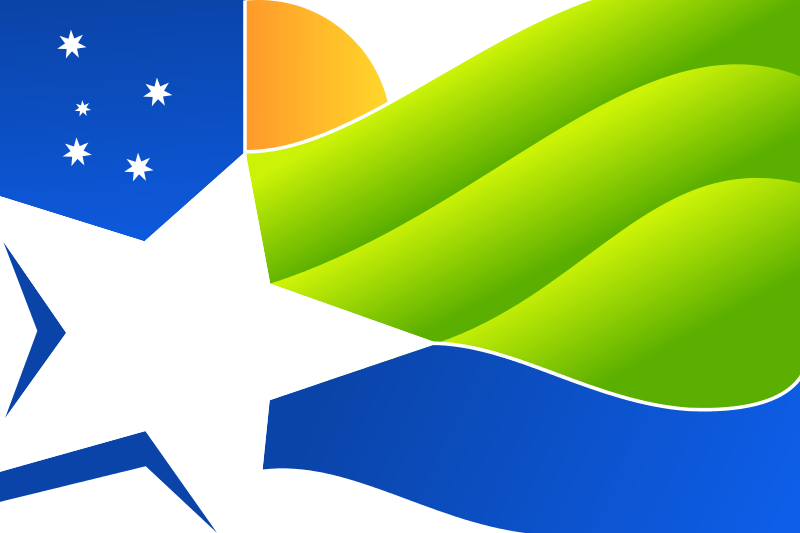 Let us know what you think of this flag and all the others in the comments below! We’ll be back soon with more weird flags!